we can supply expanded polythene in rolls or sheets in a range of gauges for various protection needs, foam can also be laminated with other products for added tear resistance or insulation. Polyfoam is made from expanded polyethylene and manufactured by Polycell. 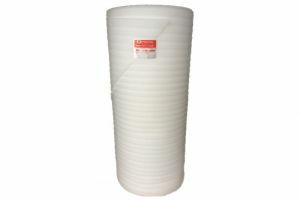 Great for protecting panels or smooth surfaces during transport. Polyfoam manufactured by Polycell is water resistant and easily cut to size. Ideal for protecting smooth surfaces during transport. Polyfoam is lightweight and great for protecting items during transit. Made from expanded polyethylene and water resistant. Polyfoam made from expanded polyethylene is water resistant and recyclable. It can be slit and perforated to ideal sizes.